I don't think you did play out the worst case scenario though. The worst case scenario to me is we keep McBeane, they continue to fail at building an offense and either keep Daboll or go 0-3 at picking offensive coordinators, and spend a big chunk of cap space on players that aren't very good. I wouldn't keep McDermott. Through 2 different offensive coordinators, we've seen his brand of offense. And it's horrific. I know people love to deflect that from him but he's the head coach, the OC's are an extension of him. Keeping him past this season could set this organization back for years. I don't necessarily mind having a "defensive minded" head coach, but they have to be able to have some kind of handle on the offense and be able to hire the right fits at OC. He's been disgustingly bad at both. You keep saying, and so do others, that Daboll has a putrid record as an OC. And it just isn't that simple. What people think of you as an OC is dependent on a lot of things, including how good (or in Daboll's case, astoundingly bad) your QBs and offensive rosters are. Daboll's QBs have been Matt Cassel backed up by Brady Quinn in KC, Matt Moore backed up by Chad Henne in Miami. In Cleveland in his first of two years, 2009, his starter was Brady Quinn, backed up by our own Derek Anderson and the next year Delhomme was the original starter for Cleveland and he went 2-2, but the 35 year-old suffered ankle problems that hobbled him for the season and Daboll was left with Colt McCoy backed up by Seneca Wallace. Remind me, has anyone had success with that pack of mugs since they got out from under Daboll? He's had crap rosters and people know that, and yet he's still widely respected by people like Saban and Belichick. It simply isn't clear that he's been bad. He may well have gotten the best out the dross he coached. And he may have had the good fortune of riding the coattails of Belichick and Saban. He was McDaniels’ assistant in Foxboro. I know there is a co next to assistant but we see who is still there and who isn’t. Nah. You don't "ride the coattails of Belichick and Saban." They don't hire guys they don't respect and they don't tolerate hangers-on. Belichick had him as a coach from 2002 - 2006 and then hired him again in 2013 and then promoted him. That doesn't happen with Belichick unless you're doing your job and doing it very well. And the Boston Herald reported that if McDaniels left, they would see if Daboll was available. And that if McDaniels had left last year Daboll would have got the OC job. There have been numerous coordinators for both Belichick and Saban who have failed elsewhere. Some guys are good assistant coaches simply because they're good at being an extension of the head coach if that's what's asked of them. I don't know if this offense is an extension of what McDermott wants or if it's all Daboll. The latter would concern me because I don't think that has the makings of a successful system, because a head coach should be involved with all aspects of the team. The first part would also concern me because this might just be the offense no matter who the OC is if this is what McDermott believes in. Both years here we've seen a bland, extremely conservative, uncreative brand of offense, and the constant has been McDermott. It's really not looking good either way if he/they are coming back, unfortunately. Unfortunately, I don't think this is even close to the worst place scenario. Worst case would be McDermott doubling down on a failed QB feeling the pressure to win and pulling a Sammy Watkins-esque deal where they trade 2020's 1st round pick to move back up in the draft & grab a high profile player. Then that doesn't pan out, the next regime takes over without a 1st round pick, and also starts the typical "throw out all the old regime's personnel and replace them with mine" shtick. Then any talent we invested heavily in gets gutted, opening more holes & leads to us spinning our wheels spending picks & money replacing holes we made ourselves. And with all that cap space you mentioned, they could feel compelled to overpay for players just to get them here, leaving us with massive contracts that'll put us in cap hell for years. On top of that, it won't be long for some of that other talent to hit FA, and the Bills will look like the NFL's farm league once again watching guys we drafted & developed leave for greener pastures once their deals are up. With poor management, coaching and lack of talent, we could go in circles for years to come leading to another decade or 2 of futility. We should just alternate between WR's & O-linemen. The more O-linemen the merrier. Whether it's for depth or competition, let's get as many bodies in there and allow the cream to rise to the top. And hopefully we don't just scout the undrafted FA WR's for camp bodies as usual. Really? A lot of coordinators for Belichick and Daboll failed elsewhere ... as coordinators? As head coaches, yes. But as coordinators, the record is positive overall, I'd argue. And Daboll isn't a head coach here, he's a coordinator. And being unsuccessful with a crappy offensive roster early in a rebuild doesn't necessarily mean the coach is doing a bad job. It might be that the plays would have worked if they'd been better executed. It could be partly Daboll's fault, but there are some smart people on both sides of the issue of whether Daboll is doing a good job. IMHO it's just not conclusive. The one thing money can buy is bringing in the best scouts and assistant coaches available. Losing Richie, Wood and Kromer really set the offense back . Maybe Daboll is why Belichick wouldn’t let McDaniels go to Indy. And you used if twice based on an article. Hearsay times two. I think we are going higher on skill position players in the draft this year.....yeah we might take a big ugly with the 1st pick....but that is also why you dont win.....so you can pick high in every round. That's like saying "worst case scenario is that McBeane are terrible at piloting a plane and playing piano...but the good news is that we have lots of planes and pianos next year". For McDermott to go after next year something along the lines of a complete team meltdown would have to occur. I don't see any way Beane goes. After four years, now, a team that is still looking anywhere near this bad would put the coach in immediate danger and the GM on a very warm seat. We'll likely have significant opportunities to improve in the off season, given our draft prospects and free agent money. If Beane blows it and this team is still floundering next season, that warm seat will get hot as hell. He's already made some poor choices and could very well be gone after three seasons. It's pretty unlikely that if Beane goes following next season, McD will still be here as well. To me worse case scenario is Beane and McDermott start feeling pressure that takes them away from the plan they have set forth......right as they are about to finish it. 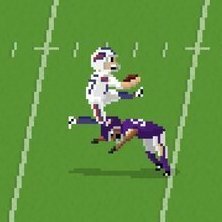 A more apt description for my 'worse-case scenario" is realistic worse-case scenario- and it still isn't any good: Allen busts, McBeane still can't recognize offensive talent, and the Bills' offensive ineptitude perpetuates laughingstock status, which we clearly presently own, into another full season. But I suppose it isn't the WORST-case scenario, as you outlined. But yours seems more implausible. Who would the Bills be trading our 2020 1st for in this draft? Which offensive talent would be so tantalizing to rationalize it? The Bills will already own a very high 2019 1st- they don't need to trade for one, like in middling years' past. And Buffalo will already struggle to justify taking an offensive player in the top-5 as it is- the only current justification is how wretched our offense is, not because there won't be a defensive player whose true value warrants the pick more than, say, Jonah Williams. The Bills may reach for offense with their own high 1st but it's unlikely they'd look to acquire another 1st to do the same, if Pegula would even let them. And yes, their seats are warmer now than last draft. But McBeane was so resistant to parting with future picks. You consider that, too, and I don't think it's very likely Buffalo is trading its 2020 1st in April's draft. I'm not sure you read what I wrote because made clear is that if the 2019 offseason is a dud then McBeane won't be making the decisions any further. Yes, it would be unfortunate if the Bills blow through $50 million dollars worth of cap space and the next regime wants to rid itself of the additions. Still, shockingly enough it wouldn't be crippling- a league-high $131.6 million in 2020 cap space underscores how the Bills have such little cap room currently committed. And God knows Buffalo hasn't drafted well this whole millennium but an emphasis on this decade. That's awful but at least it means that internally we won't be spending much on our own guys; they won't consume much- or ANY- cap room, at least not until 2020/2021 when we try to extend some 2017 draft picks (White, Dawkins, Milano, and maybe Jones). A lot of the OP's take is grounded in a set of assumptions that don't seem realistic IMO. Here is how I see it genuinely panning out: Allen will bust ultimately, but we will NOT take another QB next year, whether Herbert comes out or not. When the team does not progress next season, and McBeane show a continued lack of understanding on the offensive side of the ball, I think they'll be gone at season's end, along with us officially back to looking for a new QB with a new regime. In 2020 the regime will come in and start mucking with talent as McBeane have done, making the team their own. That will hurt us in 2020, when, at best, we'll have a rookie QB (if we do at all). We're looking at 2021 as probably the first year where we have shot at being decent. If Allen turns into a good QB, everything I just wrote is moot. I just don't see that happening, however. Everything will be fine. The offence will improve with more talent added. The coaching will improve when there are players that can execute as in the playoff year. That will give the defence some rest and they will improve. The game will slow for Allen and he will improve. Will it happen? Nobody really knows, maybe not, but might as well be optimistic. I never said we were taking a QB next draft- I stated that if Allen is a clear-cut bust that we’d take another QB with our (very likely high- if Allen’s bad enough to be declared a bust that soon) 2020 1st, which by inference of what you just wrote is what you think would/will happen too. Allen will get through next year but in the new CBA gone are massive top-10 rookie contracts that meant QB’s get 3-4 years and 40-50 starts, no matter what, because it’s so much $$$ spent for organizations to come to the clear conclusion they’re simply sunk costs. So, your first sentence is a guess based on absolutely nothing. Your second has no apparent meaning. Yeah, I used "if" twice. And yeah it was based on an article. There's nothing wrong with using "if." Check the dictionary, it's a legitimate word. And yeah, hearsay. I am indeed reporting something that journalists with sources have reported. In court that's a problem. In the real world it means I've made my point. My "if" is based on a source. Your "maybe" has nothing to back it up. Man, that's one horrendous post, dude. Yeah, if I'd said anything about what Belichick says, you'd have a point. Since I didn't mention or reference anything about this, as seems absolutely standard for you recently, you're completely off-target and your point is totally irrelevant. I'm getting to the point with your recent posts where I feel I don't have to answer because they don't require rebuttal as they're so far off-point they serve as their own best invalidation. You said something about what someone said about what Belichick said. Hearsay and you took it hook, line and sinker. Opinions are not limited to the op/ed page. Grow up, get out of your Mom’s basement and don’t believe that everything you read is true. I see. I "said something about what someone said about what Belichick said," according to you, right? Fine. It should be right in this thread. So quote it and tell which post I referenced something Belichick said. As you so consistently do, you've completely misread something I said, and the went off to rave irrelevantly. I mentioned something he did, hiring Daboll twice and promoting him. So, let's see it ... the quotation from my post where I say Belichick said something. Unless you can manage to finally respond to something I said, I clearly don't need to actually bother responding. You can start with the Boston Herald reported.... Who hires assistants in New England? I am not raving about anything, just wondering why you believe everything written in a Boston Herald? About a coach commonly associated with a team that is referred to as the Cheatriots? Yup. I asked for where I quoted Belichick. You finally figured out that I didn't. But there's no "Oops, sorry, made a mistake there." Instead it's a guy with zero sources casting doubt on a guy with one source. You got nothing. And yet won't admit it. Clearly, 'nuff said here.